I have to say this was fun. 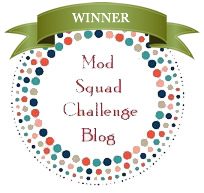 The idea for this challenge is to create a card while winning the game. How do you win the game, 3 in a row of course. 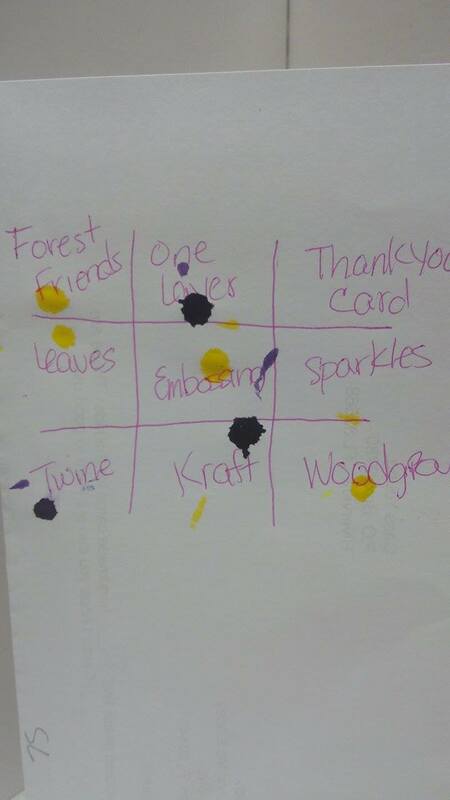 I have never played tic tac toe by myself, so I had to improvise. 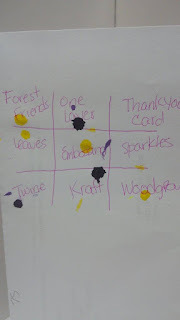 I remade the board and held 2 markers up let them go, once the game was won, that would be the methods used to make my card. 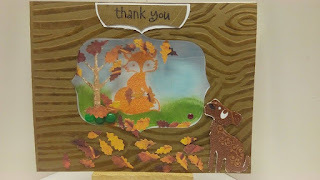 So, yellow won, I would be making my card using Forest Friends, Embossing, and Woodgrain at minimum, I also hit on leaves so figured I would throw them in as well, and to tie it all together I used "Thank You" as the sentiment. 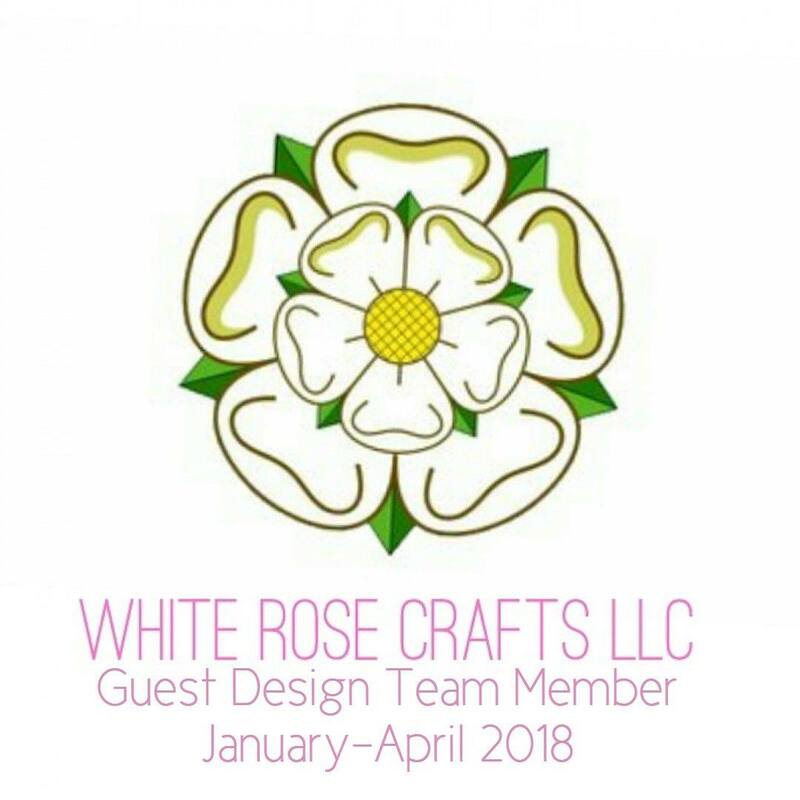 Products used in this project were Woodgrain embossing folder on kraft cardstock. GinaK Dark Chocolate Dye Ink to highlight the texture of the woodgrain. Tod is my little fox, he is a stamped image from inkadinkadoo, stamped in AMuse Studio Orange pigment ink and embossed using Whispers Orange embossing powder. Tod's background was done with Mowed Lawn and Tumbled Glass Distress Inks. Copper is my puppy, he is a clear inkadinkadoo stamp that I embossed using Whispers Copper embossing powder, and colored his highlights with a honey brown bic mark-it. 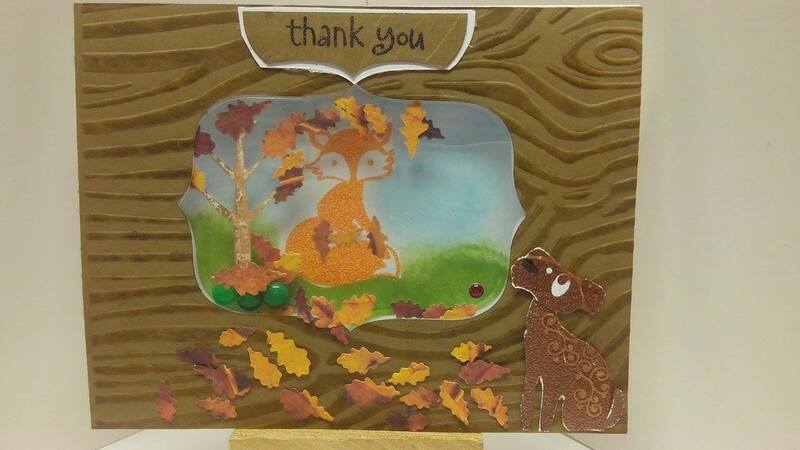 The leaves were cut with Impression Obsession Rake/leaf die on colorbok Autumn Leaves paper. I used a project life frame die to cut out the window of my card base so that the two friends could see each other. The ladybug in the corner of the window near Copper is a sparkle dot from Virginia Turtle Designs. Thank you so much, it was very fun. I'm not sure why but playing T-T-T by myself just doing it this way made it much more fun :) Looking forward to future fun.